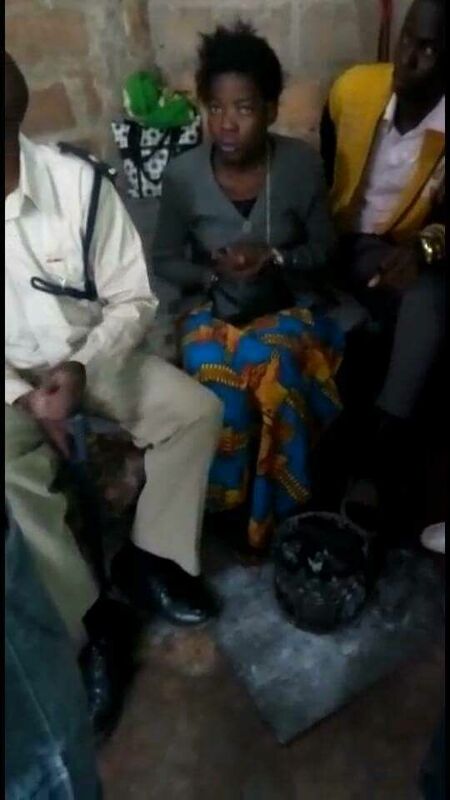 In the photo is Winnie Lufunya ( the girl who resurrected in Ndola) she is being held at the Ndola Central Police. While she was being held at police, the Ndola city coucil were exhuming another body of Winnie at Mitengo Cemetry. The casket was found with her body intact. So now there are two bodies of the same person; one at the cemetery, dead; the other at the police station, alive. Police will undertake a DNA test with Winnie and the family to unravel this mystery. It could be a story of mistaken identity. But the story from the mother says she was told by several people that her daughter was frequently seen in another township. She is said to have sought prayer and the pastor said the daughter will come back if her death was that of witchcraft…and lo and behold the daughter walked back home and asked to help sweep the house..